KrasAvia, a local carrier owned by the administration of Krasnoyarsk region in Russia’s Siberia, is changing is corporate style. 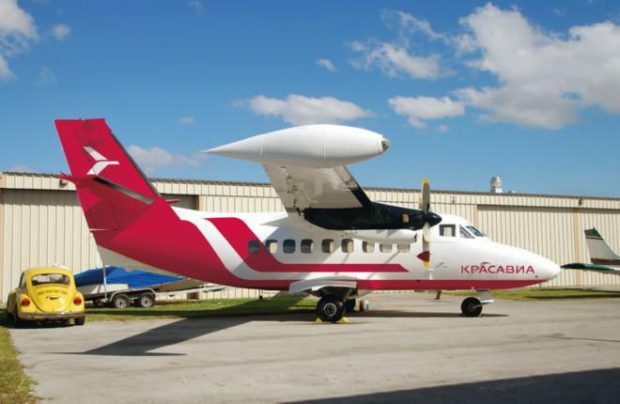 The company has already replaced its logos and other brand elements in its social media accounts, and has sent out press-releases regarding relaunch of one of its routes, with an image of its L-410UVP-E20 turboprop aircraft in a new white and red color scheme. The image, however, is made with graphic software. “The aircraft have only been repainted on paper so far, this is very costly, so we can’t really tell when the first aircraft will actually get the new livery. But still, we are planning to refurnish all of our business activities, and we are starting to pursue these plans,” the airline’s press-secretary Anastasia Yakimenko commented. According to Federal Air Transport Agency, besides the L-410s KrasAvia operates an almost 50-aircraft strong fleet of Antonov An-2, An-3, An-24, An-26 and Yakovlev YaK-42 airplanes and Robinson R66 and Mil Mi-8 helicopters. In the first quarter of this year the Krasnoyarsk-based airline carried 50,800 passengers, having demonstrated a 20% YoY growth. It now occupies the 26th position in the rating of Russian airlines by number of passengers carried. The company also manages a network of seven airports in three areas of Krasnoyarsk region: Evenki, Taymyr and Yenisey.